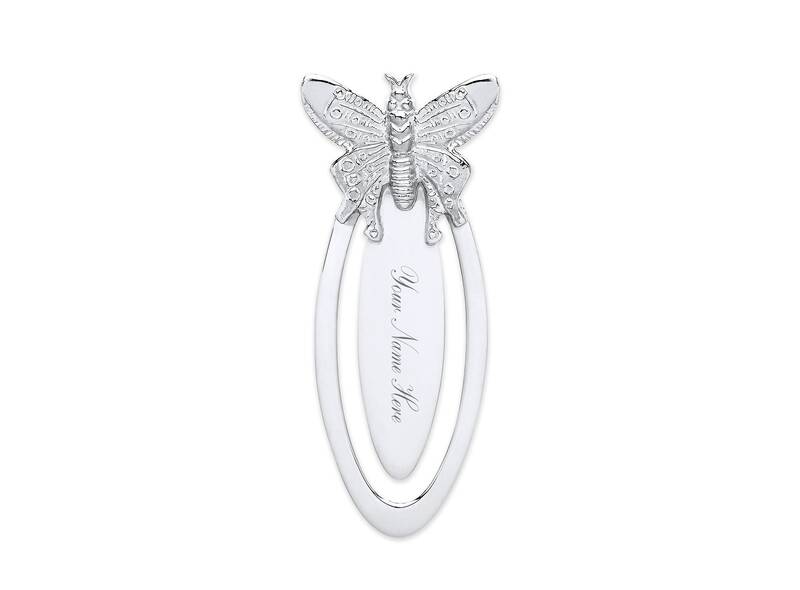 A stylish 925 sterling silver butterfly design bookmark makes a perfect gift for any book lover or as a graduation present. 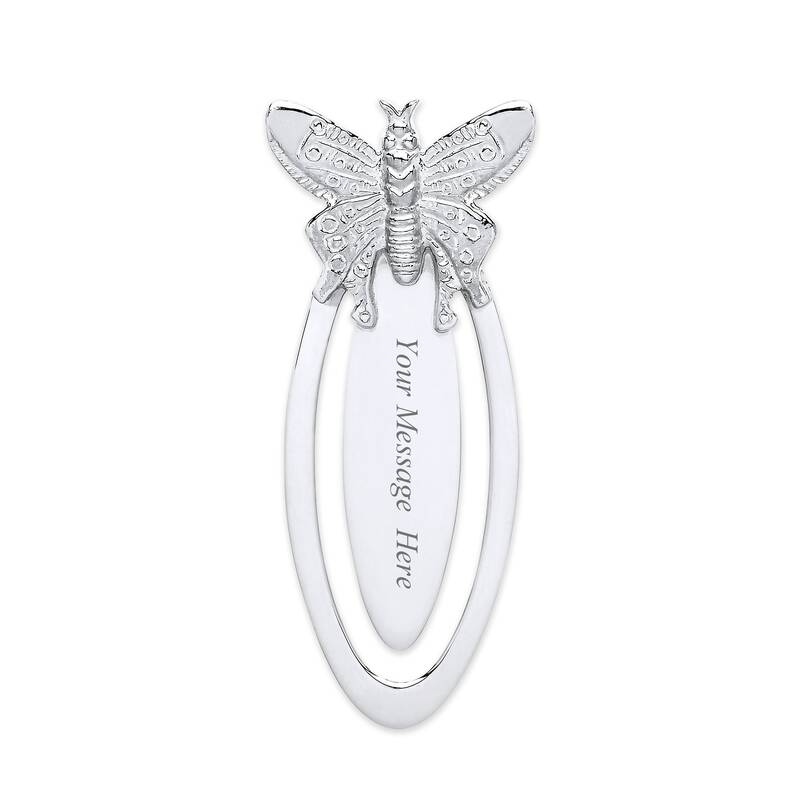 The silver bookmark can be engraved with a name or initials on the front and a message on the reverse. 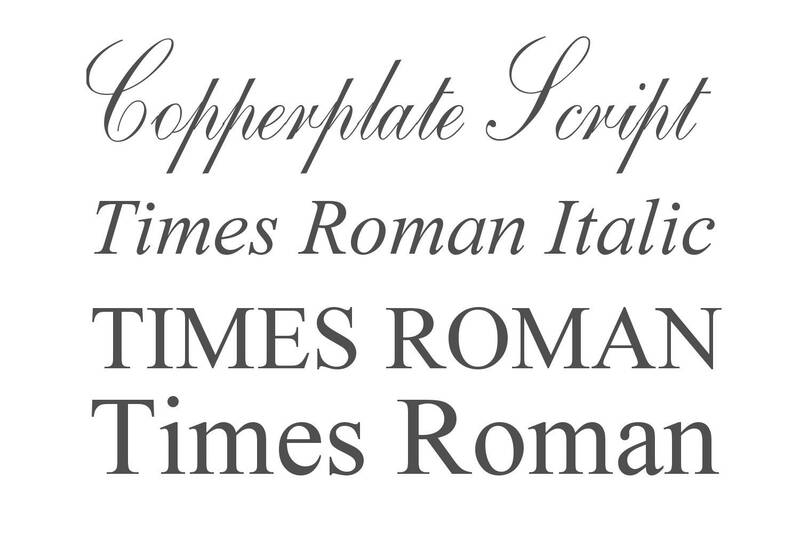 Front- up to 8 characters (including spaces) can be engraved - name, initials or date. Reverse - message or date up to 25 characters (including spaces).